WASHINGTON–On September 22, the Department of Homeland Security (DHS) issued a Notice of Proposed Rulemaking that dramatically alters certain longstanding government policies related to legal immigrants’ access to essential safety net programs. My name is Bill Canny. 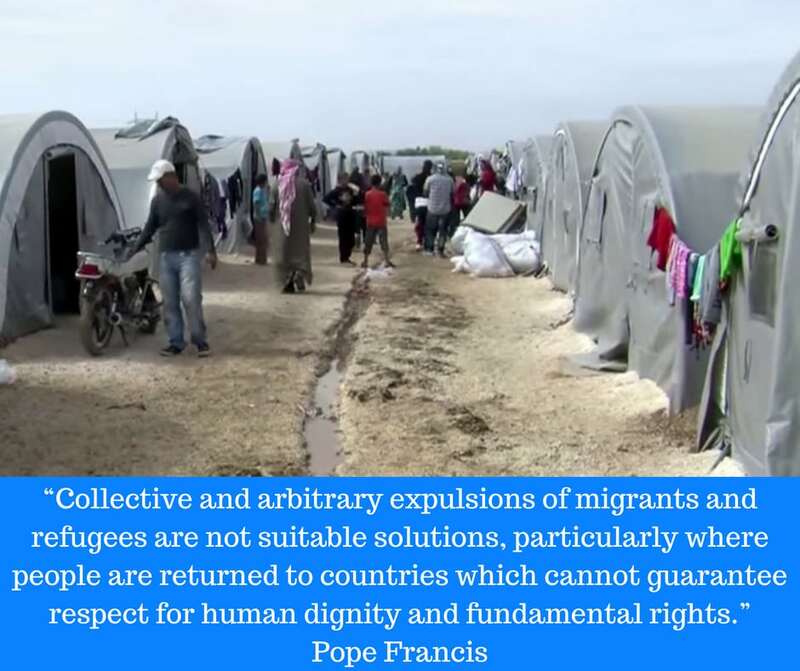 I am the Executive Director of the Department of Migration and Refugee Services (MRS) within the U.S. Conference of Catholic Bishops (USCCB). On behalf of USCCB/MRS, I would like to thank the Senate Homeland Security & Government Affairs, Permanent Subcommittee on Investigations, as well as the Subcommittee Chair Senator Ron Johnson (R-WI) and Ranking Member Senator Claire McCaskill (D-MO) for the opportunity to submit this written statement for the record. 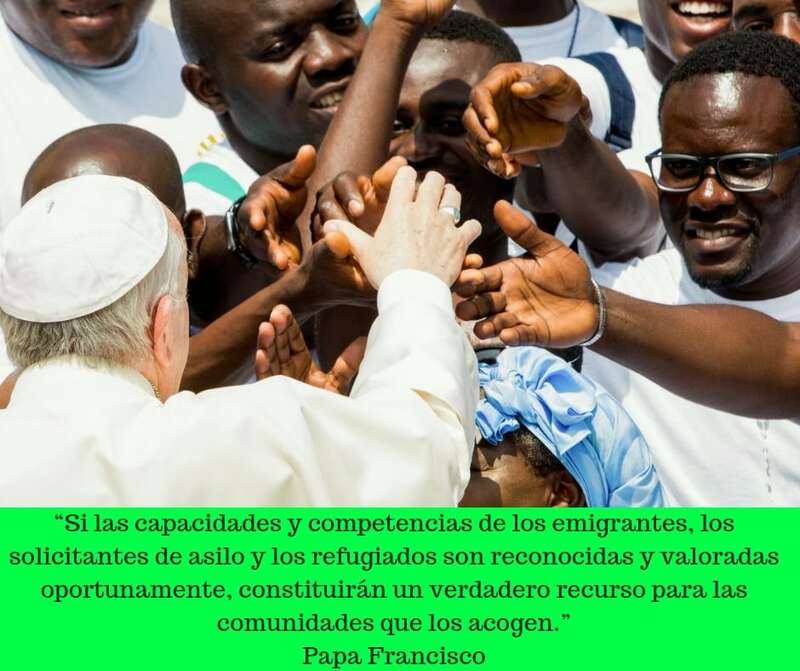 The care of unaccompanied immigrant children is of great importance to the Catholic Church. USCCB/MRS has operated programs, working in a public/private partnership with the U.S. government, to help protect unaccompanied children from all over the world for nearly 40 years and trafficking victims for more than 10 years. In this statement, I share insights from our work serving these children and their families and offer recommendations to help ensure that unaccompanied children are protected from situations of abuse and human trafficking. The Catholic Church in the United States has played a critical role in the care of unaccompanied children and prevention of human trafficking, and USCCB/MRS has been a leader in the protection of and advocacy for unaccompanied children and human trafficking survivors. 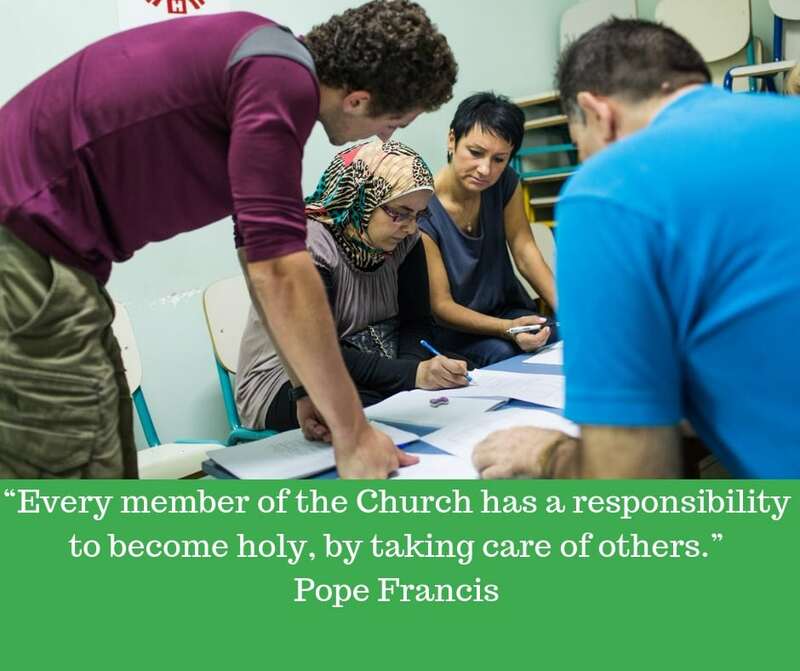 Our work assisting unaccompanied children is rooted in the belief that they, like all God’s children, were created in His image and have a unique and sacred human dignity. Facilitating release of unaccompanied children to family or “sponsors” pending their immigration removal proceedings is both a humane and fiscally-sound policy. Not only is reunification with family typically in a child’s best interest, but maintaining children in government custody is incredibly costly.3 It is vital, however, to ensure that families are supported and connected to community resources, that they understand their legal obligations, and, most importantly, that children are not released to unsafe situations. As a social service provider, we have seen that unaccompanied children are particularly vulnerable to human trafficking, domestic servitude, and other exploitative situations. In the case of children in a forced migration context, prior victimization in their home country or during their journey to the United States, debts incurred for smuggling or transit fees, and their undocumented status are all characteristics that put them at heightened risk and make them easy prey for traffickers and others with ill intent. Family reunification services – home studies and post-release services – are therefore vital to promote safe placements of children in appropriate environments. During a home study, a community-based case worker assesses the safety and suitability of the proposed caregiver and placement, including the caregiver’s capacity to meet the child’s unique needs, any potential risks of the placement, and the caregiver’s motivation and commitment to care for the child. Home studies result in a recommendation on whether placement with the proposed caregiver is in the child’s best interest. Post-release services (PRS) include risk assessment and action-planning with families around areas of need and concern, connection to community services, and referral to legal services. Consequently, these services are not only critical to ensuring a child’s safe placement, but they also mitigate the risk for family breakdown, facilitate community integration, and help the family understand the need to comply with their immigration court proceedings. While some recent improvements have been made to address the gaps in adequate family reunification services, the vast majority of unaccompanied children released from ORR care do not receive these important services. In fact, in FY 2017, ORR provided family reunification services for less than thirty-two percent of the 42,416 children released from its care – with only seven percent of youth receiving home studies. Unfortunately, we know that the limited use of these services has resulted in children being released to unsafe placements, including situations of abuse and trafficking, and left without vital services for which they qualify under law. These are children like Raul,4 a teenager from Central America who suffered severe abuse in his home country. Raul’s uncle “sold” his sisters and physically abused Raul. Raul has scars all over his body from the severe abuse, but Raul fears telling his sponsor (who is his biological father) because his uncle threatened his mother’s life if anyone learned of the situation. As a result of this trauma, Raul is now wetting the bed, having nightmares, and constantly fears for his mother’s safety. Despite this past abuse and clear need for family reunification services, including counseling services, Raul was released from ORR care without a home study or post-release services. USCCB/MRS was alerted to this case by Raul’s legal counsel. In addition to the underutilization of these valuable family reunification tools, we also believe that certain elements of well-intentioned policy changes regarding information-sharing of sponsors may put children at increased risk. In May 2018, ORR and the Department of Homeland Security (DHS) offices of Immigration and Customs Enforcement (ICE) and Customs and Border Protection (CBP) entered into a Memorandum of Agreement (MOA) mandating continuous information-sharing on unaccompanied immigrant children beginning when CBP or ICE takes the children into custody through their release from ORR custody.5 This includes information sharing on the children’s potential sponsors, as well as anyone else living with the sponsors. One intent of such information sharing is to improve sponsor vetting and ensure safe placement of children, which we greatly appreciate and consider to be beneficial. We are concerned, however, that the MOA may have severe unintended consequences in terms children’s increased length of stay in ORR custody and the increased possibility of risk for abuse or trafficking. We are troubled over the possibility of these unintended consequences because the MOA fails to place any limitations on the use a sponsor’s data by ICE and CBP. Without any limitations on and sufficient communication about the use of such data, family reunifications, the fundamental principle of child welfare, may likely be undermined by turning safe placement screening into a mechanism for immigration enforcement or, in the least, may be perceived by the immigrant community as such. It is anticipated that the MOA, as written, may accelerate not only the decline in releases to parents, but also releases overall, leading to longer and costly stays in ORR custody. USCCB/MRS is also highly concerned that, given the MOA, undocumented family members may fear coming forward to sponsor their children, instead seeking – or even paying – documented individuals in the community to come forward and claim to be a child’s sponsor. This type of arrangement will put unaccompanied children and their families at increased risk of exploitation and trafficking by the third-party. * Clearly Designate Responsibilities of ORR After Release. Congress should pass legislation to ensure that ORR is clearly authorized to provide for the care of children even after their release to a sponsor. Unfortunately, USCCB/MRS has witnessed instances in which a sponsor placement breaks down but Children’s Protective Services (CPS) is unwilling to get involved and take custody of the child. In some of these instances, it has also been difficult to get ORR to resume care for the child. We appreciate Senator Portman’s attention to this issue and the efforts of all the offices engaged in bipartisan discussions to try to find a solution. We also welcomed the willingness of Senate offices to engage providers like USCCB/MRS in the conversation. We look forward to seeing what comes out of these discussions. * Increase Funding for Family Reunification Services. In accordance with domestic child welfare best practices, Congress should urge ORR to increase the number unaccompanied children and families receiving family reunification services. As noted above, expanded family reunification services would increase protection for these children, allow them to be linked to local resources, provide education on immigration court requirements, and also provide monitoring of the child’s safety and wellbeing – promoting the overall safety of our communities. We note that such programming should focus on strengthening the family to best promote long-term placement stability and integration. * Work to Identify Additional Risk Factors for Children. We appreciate the steps ORR took in 2016 to designate additional risk factors warranting “discretionary” home studies (those not mandated by law). We encourage ORR, however, to regularly engage with providers to evaluate new and additional risk factors that could help to indicate concerns with placement of unaccompanied children. These factors, such as a youth being a pregnant or parenting teen, should be added to the list necessitating a discretionary home study. * Ensure Flexibility to Respond to Newly Identified Needs. Children who are receiving PRS-only services, (those who generally do not get home studies), typically receive services for a shorter period of time than those children for whom family reunification services (PRS and a home study) are required by law. In some instances, we have seen children appropriately being designated to receive PRS-only services, only for the provider to later discover concerns that would have warranted legally mandated family reunification services (PRS and home study). In our experience, ORR has not allowed these children to be re-designated to receive the lengthier services. ORR must ensure that that the system maintains flexibility to address such situations. When risk factors are identified by service providers, it should allow for re-designation the child for legally- mandated PRS, even after release, so that the child can receive services through the pendency of his or her immigration court proceedings. * Limit Use of Sponsor Information to Prevent Trafficking Risk. Congress should encourage DHS leadership, through rulemaking or policy memoranda, to limit the ability of information obtained pursuant to the MOA to be used for enforcement purposes absent extenuating circumstances (such as those individuals who are national security threats or have felony convictions which present a public safety concern). How we respond to the children arriving at our border is a test of our moral character. In the words of Pope Francis, we must “not tire of courageously living the Gospel, which calls you to recognize and welcome the Lord Jesus among the smallest and most vulnerable.”6 As always, USCCB/MRS stands ready to offer our assistance to Congress, DHS, and HHS/ORR to strengthen protections for unaccompanied children and to help prevent and mitigate situations of human trafficking, abuse, and neglect. 1 Pope Francis, Address to Participants in the International Forum on Migration and Peace (February 2017), available at http://w2.vatican.va/content/francesco/en/speeches/2017/february/documents/papa- francesco_20170221_forum-migrazioni-pace.html. 2 Pope Francis, 2017 World Day of Migrants and Refugees Message (September 8, 2016), available at https://w2.vatican.va/content/francesco/en/messages/migration/documents/papa-francesco_20160908_world- migrants-day-2017.html. 3 GOVERNMENT ACCOUNTABILITY OFFICE, UNACCOMPANIED ALIEN CHILDREN: ACTIONS NEEDED TO ENSURE CHILDREN RECEIVE REQUIRED CARE IN DHS CUSTODY 66 (JULY 2015), available at https://www.gao.gov/assets/680/671393.pdf (estimating that the average cost to the taxpayer to keep an unaccompanied child in an ORR shelter is $248 per day). 4 Identifying information changed to protect child’s confidentiality. 5 See UCCB/MRS et al., ORR and DHS Information-Sharing Agreement: The Unintended Consequences, https://justiceforimmigrants.org/wp-content/uploads/2018/06/MOA-Backgrounder-Final.pdf (last visited Aug. 10, 2018). 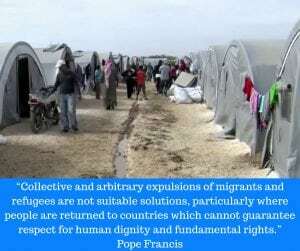 6 Pope Francis, 2017 World Day of Migrants and Refugees Message, supra note 2. 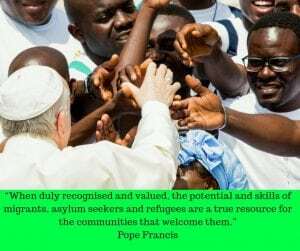 On Thursday, September 6th, we hosted a webinar on National Migration Week 2019, “Building Communities of Welcome.” Special thank you to Kimberly Longshore from the Catholic Charities Atlanta for her help on the webinar. Below are the slides and the recording of the webinar.